Do they come with bolts? I want to use this with a single speed crankset and a six speed derailleur. Can you tell me what length to order and also recommend an appropriate crankset. Thank you. 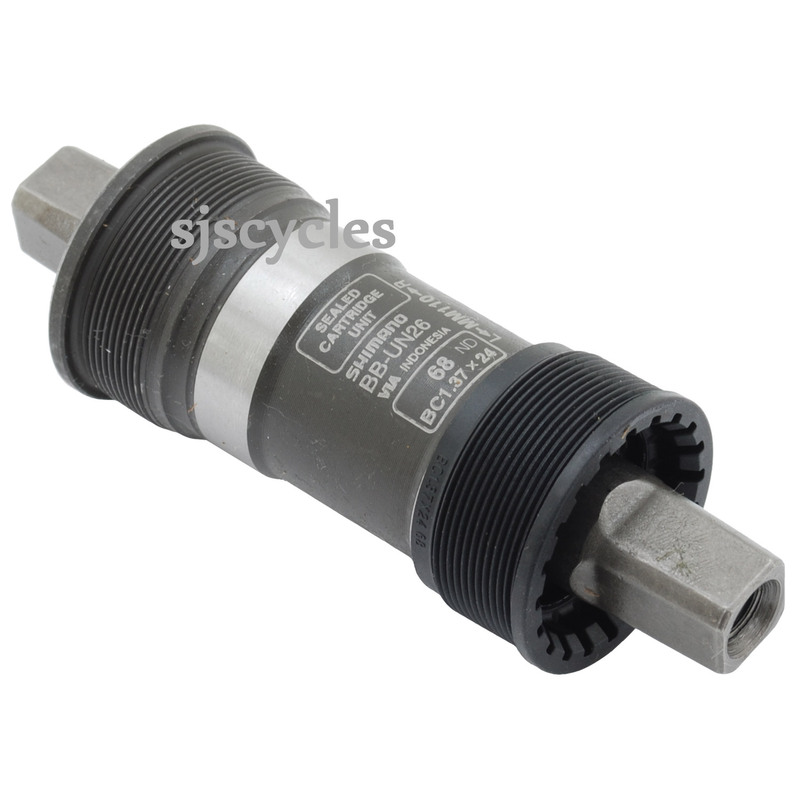 There are too many variables to directly quote you suitable products, I recommend emailing ryan@sjscycles.com to discuss further. Is this bottom bracket the same size/fitting as your SJS Part Number 31L110? These bottom brackets although different in quality would share the same dimensions with regards to fitting. This bottom bracket is available with different overall axle lengths, you can select the 122.5mm size from the drop-down menu.